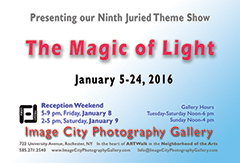 The current exhibit at Image City features the work of 98 photographers with more than 150 photographs juried into the show, The Magic of Light 2016. Artists-in-Residence Jim Patton and David Perlman feature their photographs in the East Gallery. The receptions last week were well attended and many compliments were heard on the high caliber, wide range of photographic interests, and the keen interest in the art of the photographers. We are extremely pleased in this our ninth year of The Magic of Light that it keeps getting better and better with the talent of the photographers in the spotlight. We appreciate the participation and support by all those exhibiting their art as well as those attending. There is no admission fee to visit the Gallery. Click Here to see our webpage for show details and a full list of participating photographers. After the installation of the photographs for The Magic of Light 2016 the Gallery Partners made selection of two for a special honor as Partner's Choices. Also, during the two receptions those attending made their selection and voted for their favorite and we awarded the People's Choice to the winner. Each photographer selected received a cash award of $100 along with the honor. We interviewed the winners and share some details on each selection. 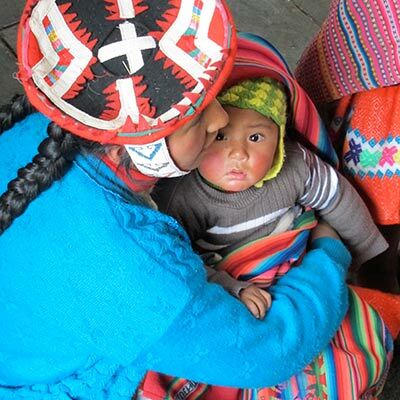 People's Choice -- Reneé Oritz's photo Peruvian Woman with Child was taken in Cuzco, Peru on a trip with 26 students from Fairport High School where she teaches Spanish. Having some free time in a structured trip Reneé stepped into a fair trade women's cooperative and noticed a Peruvian woman and her child sitting on the floor resting after a day's work. Reneé observed that "The Mother was looking off into the distance, but her child was staring directly up at me. I quickly took out my camera and took one frame. The woman then looked up and moved because she didn't want her photo taken". Reneé approached the woman and speaking in Spanish she explained her desire to share the stories of her trip to Peru with pictures of the beautiful people she and her students had met. The woman agreed that Reneé could keep the photo and in return Reneé bought some of the items she was selling and gave her an extra tip for the picture. Reneé's passion has always been to photograph people, especially on travels to other countries. She is attracted to photographing children and strong looking women or people with some sort of distinct features. Peru was a playground for this passion since everywhere she turned there were women dressed in their indigenous clothing and carrying or walking with their children. Talking and learning about the people in Peru garnered Reneé many wonderful photos and memories. When asked why she submitted photos for this show, Reneé replied, "I absolutely love this gallery! I have been a supporter since it opened and I try to make it to every new exhibit. I live in the Neighborhood of the Arts so it is also part of where I am every day. I have wanted to submit a piece for The Magic of Light show for the past few years but never had the courage to do so until this year. Being selected into this show and amongst such amazing photographers was such an honor for me. On top of all that, winning 'The People's Choice Award' has given me the confidence to try and put a show together sometime this year. I hope to one day have that opportunity at Image City Photography Gallery. Thank you for giving me the opportunity to be part of this wonderful show!" 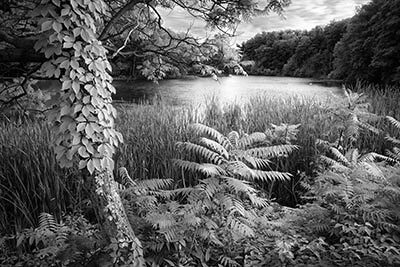 Partner's Choice - Tom Kredo is a long time photographer in the Rochester area and a frequent contributor to shows at Image City. For this show Tom was awarded a Partner Pick for his submission Eastman Lake Summer. Eastman Lake is part of Durand Eastman Park near Irondequoit. Tom was shooting across Lake Shore Blvd. on Lake Ontario Beach and decided to see if there was an interesting angle to view Eastman Lake. Walking across the road he found an interesting angle for his photograph. His winning image had all the elements for a good landscape photo; including composition, tonality and balance. Tom reports as being a fan of Image City for a number of years because our goal is to feature local artists to the Rochester Arts Community. He enjoys the great turnout for the shows. Tom's work may also be seen in "The Nature of Things" at Gallery 96 in Bushnell's Basin through February 20. 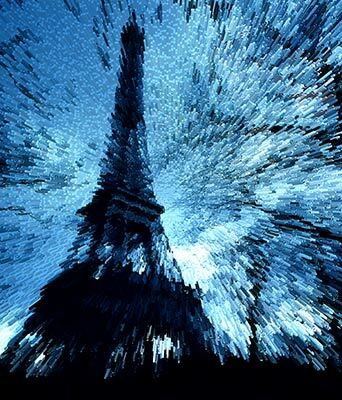 Partner's Choice - David Bleich's fascinating photograph Eiffel Blue is the second partner selection. David was not immediately available to comment on the photograph and the selection. We will have another opportunity to visit with him in the next exhibit at Image City. David is busy producing his upcoming exhibit titled, Size Matter's, The show opens on January 26 and the reception is Friday, January 29. From his show title, we expect to again be wowed by his photographs and their presentation. Be on the lookout for the announcement later next week. As a recipient of the newsletter, you either signed up with your email address during a visit to the Image City or at the time of an online visit. Our e-mail list continues to grow to more than 4200 subscribers. By the way, we do not share this list and use it to describe each of our exhibits by an announcement and newsletter. If you have not visited recently or signed up from a distance, you will enjoy the tour that Carl Crumley has produced. His first-rate productions show off the Gallery. In addition to a visitors tour, a second program focuses on the gallery as an opportunity for photographers to exhibit their art. Click on this link for the video tour and this link to learn about becoming a Guest Photographer at Image City, sit back and enjoy the visits. The Image City Critique Group will next meet on Wednesday, February 3rd beginning at 6:30pm. We meet at the gallery on the first Wednesday of each month to critique each other's images and hopefully improve our photography. Please bring 2 prints of your best images; matted if possible. We do not critique digital images. There is a one-time $20 registration fee, but you can try it once for free. An effective way to communicate three dimensional feelings when photographing in densely wooded areas is to utilize openings. Look for situations where you can frame subject matter within spaces of interesting close substances. Think of framing as a type of foreground and compose your image within that foreground. By moving in closer or moving further back from an opening the photographer can adjust the size of the opening and the amount of subject matter that is framed. By moving left or right, or by moving up or down the photographers can adjust the perspective of the framed subject matter. 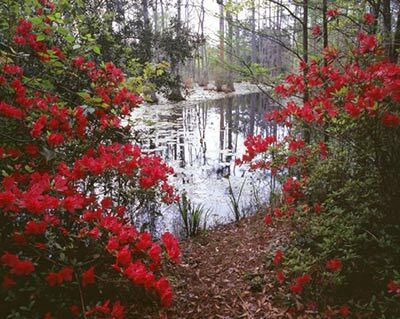 While walking the trails of a cypress swamp I noticed two brilliantly colored azalea bushes at the edge of the swamp. By moving in closer I was able to frame the swamp between the bushes and then compose my photograph Cypress Swamp Window. This photograph is an example of a recognized "Window of Opportunity" in that the azaleas were at peak bloom and also that the available light was soft and diffused. Notice that the ground between the bushes was used to further complete the framing of the window. By shooting at an angle the ground forms a diagonal border for the image. This pleasantly parallels the line of the vegetation on the far side of the swamp. To see all of Gary's Tips Click Here.